This claim is manifestly untrue. An H-2B labor certification is contingent on employers canvassing the local labor market and preferentially hiring qualified American workers. The U.S. Department of Labor (DOL) only issues an approved H-2B labor certification if the employer demonstrates that there are not enough willing, qualified, and able U.S. workers are available for the job. This labor market test is not a mere formality. Regulations require employers to advertise the job in local newspapers and post the job opportunity on state and national job banks. Many seasonal employers go above and beyond these requirements, advertising the job through private sector job banks, local radio, and trade journals. Employers only hire H-2B workers if these recruitment efforts are unsuccessful. H-2B is not a matter of convenience; it’s a last resort. Instead of spending its resources opposing a program that the President supported, Numbers USA should hold him accountable for his campaign vows to end illegal immigration. Where is the wall? Why are record numbers of illegal aliens crossing the border? Why hasn’t the President ended catch-and-release? Where is the promised Executive Order to end birthright citizenship? Instead, Numbers USA has misplaced its priority on a niche visa program that represents only 66,000 visas and is, by all accounts, part of the solution to illegal immigration. H-2B wage rates average $13.58/hour across all job classifications and geographic locations, a 40% increase since 2008. In major H-2B markets, the wage rate exceeds $15 per hour. Because of the legal requirements to pay the same wage rates to American workers, the H-2B program actually drives up wages in these industries. H-2B program participation does not disadvantage U.S. workers; it ensures a higher wage rate than would they would otherwise earn. This allegation also fails to acknowledge that illegal aliens, who do drive down wages, comprise a much greater share of the workforce in seasonal occupations than H-2B workers. H-2B employers face a wage rate ceiling due to their competitors’ employment of illegal aliens. Quality and price, not a legal workforce, are the central criteria a customer uses when determining which company will mow his or her yard. Unlike H-2B workers, illegal aliens hired ‘under the table’ do not pay federal and state income taxes, nor do they (or their employers) contribute to Social Security and Medicare.–If there is wage suppression in this country, it isn’t because of the H-2B program. Numbers USA also claims that other sources of under- and unemployed workers can substitute for the H-2B temporary worker program. This naïve view overlooks the fact that H-2B occupations are usually difficult, demanding manual labor jobs. Do we expect the elderly and the disabled to spend the summer mowing lawns, picking crabs, or making beds at a ski resort? Do we expect single parents with limited access to child care to travel the country setting up carnival rides? DOL’s own website reports that, for ten consecutive months, the number of available U.S. jobs has exceeded the number of job seekers. Secretary Acosta’s Twitter account routinely gloats over our record low unemployment rate, with an estimated 7 million job openings. Seasonal employers, like those who rely on H-2B workers, are the first to suffer in a tight labor market. The need for additional H-2B visas is a sign of a healthy, strong economy. Numbers USA should commend H-2B employers for their commitment to a legal workforce, and champion the program as a viable, win-win policy solution to the problem of illegal immigration. For this reason, we would urge Numbers USA to rethink its position and support the release of additional H-2B visas, as authorized by the 2019 Homeland Security appropriations bill. Without additional visas, U.S. government is incentivizing capped-out H-2B employers to hire illegal aliens. 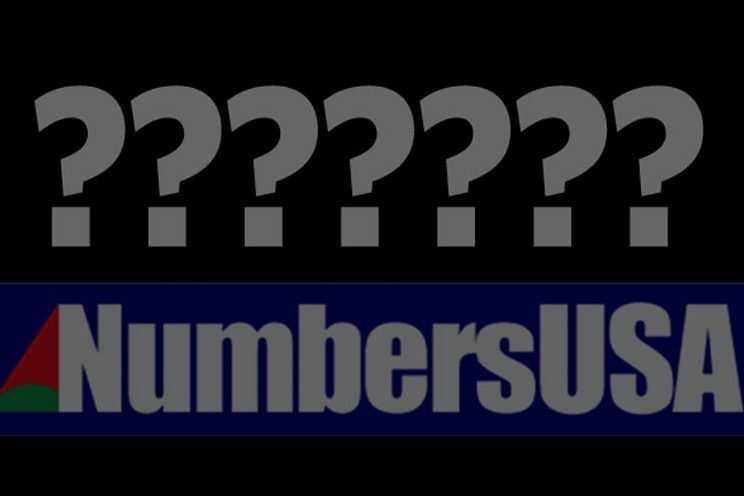 Numbers USA is either for a legal workforce, or it should accept the consequences of an illegal one. H-2B ensures a legal seasonal workforce at no cost to the taxpayer, and no harm to the American worker. This should be an easy choice. Gray Delany is Executive Director of the Seasonal Employment Alliance, an organization that advocates for seasonal businesses.